Looking for a cool way to contribute to local waste reduction? Wildsight Elk Valley is currently seeking 6 volunteers to help with waste reduction at the Griz Days Refreshment Gardens on Saturday, March 3! 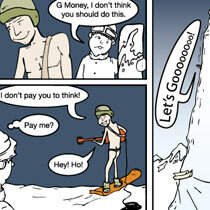 Shifts are short! From 5pm-7pm, 7pm-9pm, and 9pm-11pm and we are looking for 2 volunteers per shift. Win-win all around! Be in the heart of Griz Days events AND do some eco goodness! To volunteer or for more info contact Sharon at sharon.kelly@shaw.ca. “Join us on Halloween to spread some good in the world! We’ve got a ton of components to pack this month, so we need all hands on deck! These kits are desperately needed in India, and we’re working to complete a large request by February! Stop by for some trick or treating and pack a kit while you’re there! OR join us for some peace and quiet while the kids terrorize 4th Ave! OR join us to completely avoid the trick or treaters at home! Days for Girls’ Mission: Days for Girls empowers girls and women worldwide with more dignity, health and safety through access to quality sustainable menstrual health management and education. “We are looking for volunteers to help out with the event. 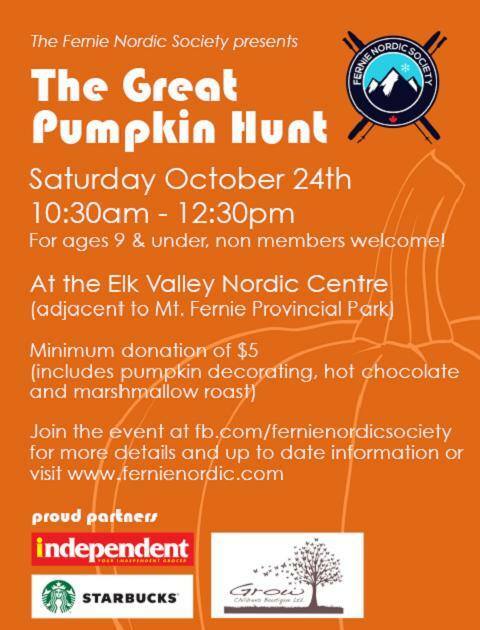 If you know of someone, or are interested yourself, please email us at fernienordic@gmail.com and we will send along more information!” from The Great Pumpkin Hunt Facebook Page. It is also recommended to say you’re going to the Pumpkin Hunt on the Facebook page so they know how many pumpkins to order. The Organizing Committee for the Wednesday Concert Series is looking for a few good volunteers! 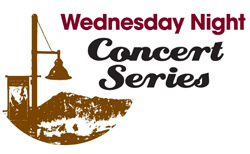 The Wednesday Concert Series runs every Wednesday in July and August starting on July 8 and ending August 26 from 5:00 to 9:00pm. This event happens at Station Square (outside The Arts Station). We need help with set-up, take-down, serving and selling, and a myriad of other things. We especially are looking for a few people who are willing to take on a larger organizing position and be a lead person for a few of the specific Wednesdays (dates TBD). If you like music, good people and refreshments please let us know by emailing assistant@theartsstation.com. The Arts Station is looking for people to help with this great public art event on Sunday, July 5th! The volunteer positions are set-up (9-10am) and clean up (4-6pm) and then helping man activity stations throughout the day. These are two hour slots from either noon-2pm or 2-4pm. The activities include a Community Dumpster, trucker hat painting, button making, and create-your-own-canvas. If you would like more info please contact Samantha at either 250-423-4842 or assistant@theartsstation.com.